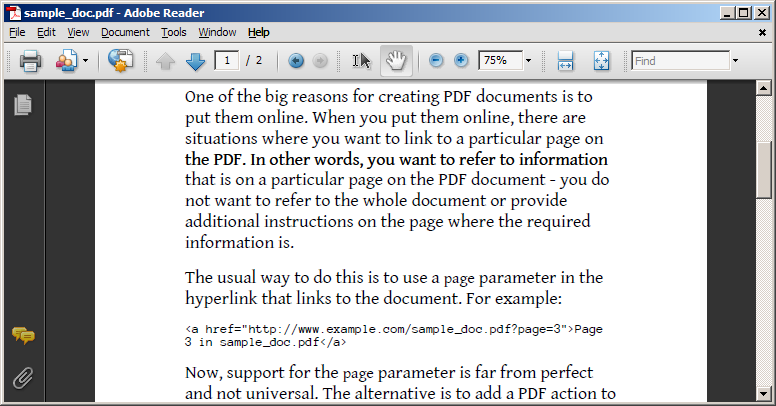 It is not unusual for PDF documents to use certain fonts but does not have them embedded in it. (Who wants to embed Times New Roman?) This is usually never a problem, as the the fonts are likely to be installed in your computer. Sometimes, though, the fonts are neither embedded in the document nor installed in your OS. PDF viewer applications such as Adobe Reader will try to do some guesswork on these fonts and substitute them with an installed font or a font from its own collection. Here is an example. 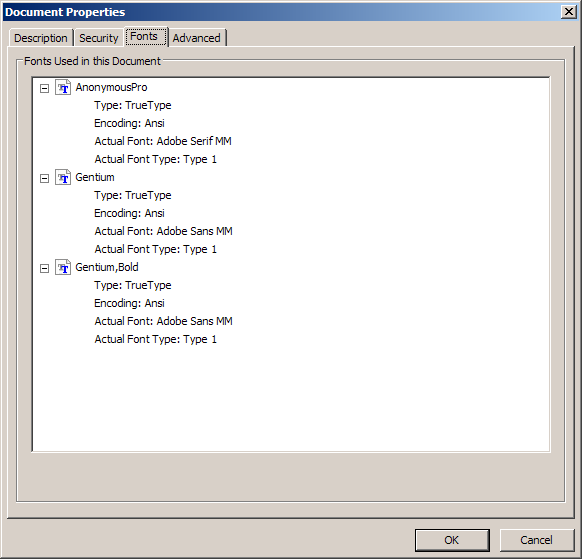 This document uses two non-embedded fonts Gentium and Anonymous Pro. On my computer, where these fonts are installed, the document would look like this. On a computer that does not have these fonts, the document would look as below. Although Adobe Reader tries to do a good job, it has replaced a serif font with a sans serif font and a monospace font with a serif font. Oh, the abominations! PDFOne's document, viewer and printer components also do something similar. It replaces the missing fonts with Arial. So, the bottom line is clear. If you want the output to be true to its source, you need to have non-embedded fonts installed. Installing fonts just to support a few documents is a waste of computer resources, as it slows down the OS. A simpler alternative is to have the fonts available in some local folder and make PDFOne aware of this location. Here is my code example. 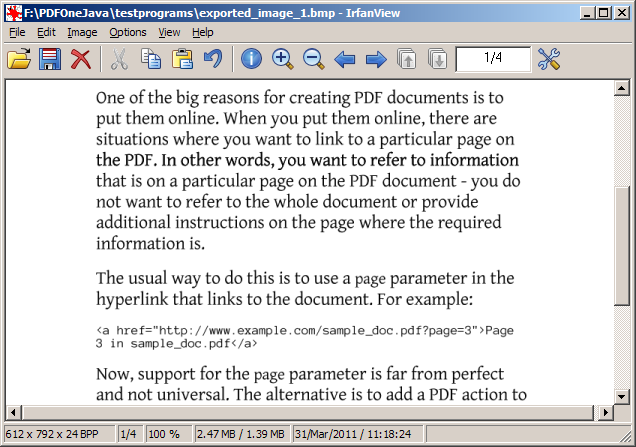 This Java program loads a PDF document and exports the pages to bitmaps. Usually, the page export function would have substituted all (Gentium and Anonymous Pro) text with Arial. In the example, though, custom substitute fonts were provided and exported images look like the original PDF document. 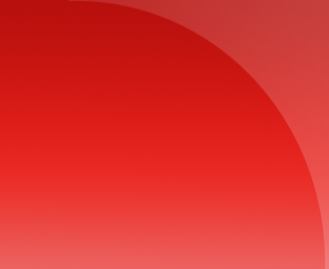 You can run this code on any PDF document. Whenever a non-embedded and non-installed font is found, the name of the font is printed on the console. After that, you need to either find appropriate font files with these names or choose close alternatives, copy the files to a folder location, modify the part where the font pathnames and types are specified in the onFontNotFound event handler, and run the program again. Please note that this ability to provide custom substitute fonts was introduced in PDFOne in Version 3.5.3 (released on February 17, 2011). If you have not updated your PDFOne jar, then do so now.